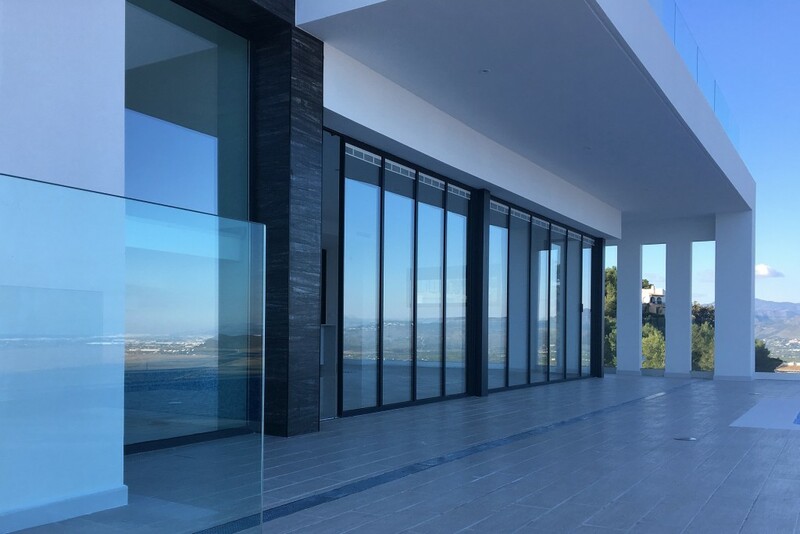 UltraSlim Glass Doors can form a wall of glass so that views, as well as natural light, can be enjoyed with very little interruption from the slim 1.9cm aluminium frames at the sides of each glass door panel. This particular installation, manufactured to UK standards, withstood extreme winds and a rare snowstorm in the Mediterranean whilst nearby houses suffered damage. 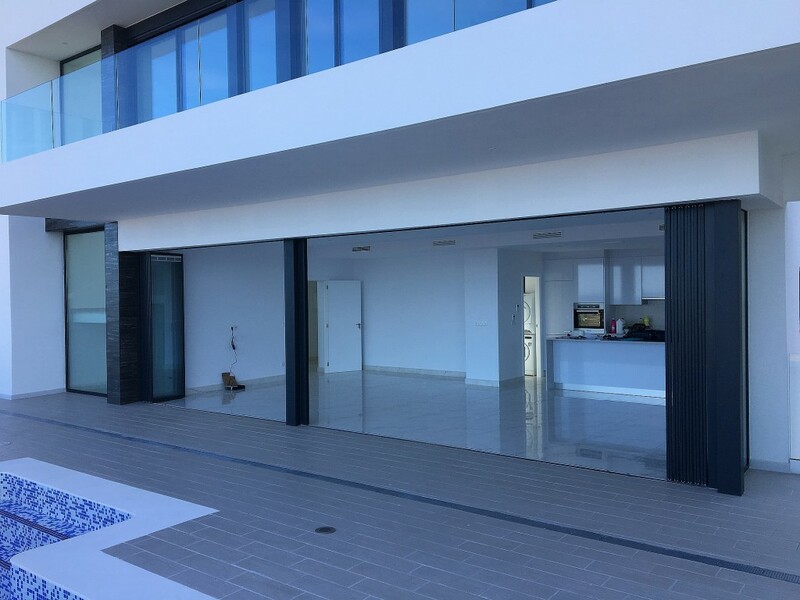 Why are UltraSlim Doors better than a fixed glass wall? When you want to allow the warm breeze in, just move the “wall” to the sides of the aperture and live the dream! The first door of a set opens just like any regular door. After that, each of the others can be pushed or pulled along the guides to pivot open for wider access space. If preferred, the doors can be left spaced across the opening, wherever you want them to be. 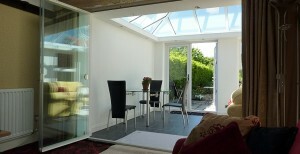 But what if glass doors will be south facing and let in the early morning sun in the summer? Dont’ worry, we have the solution for that, too. Each door has an option of being fitted, prior to delivery and installation, with horizontal slatted blinds (a.k.a Venetian blinds). 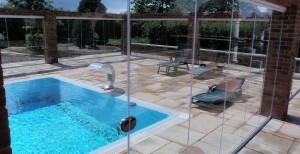 According to our customers who have paid for this option, the advantages far outweigh the costs. The blinds are fitted inside the double glazing and, therefore, are protected from the usual issues that can affect blinds that are used on a daily basis. We have been supplying encapsulated blinds with our bifolding and UltraSlim doors for ten years and have no complaints about them.